COL-6. 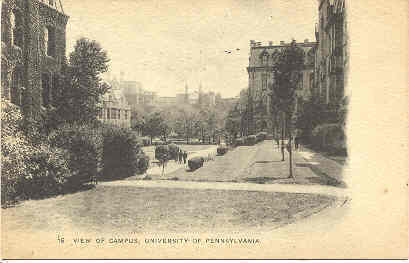 An Excellent vintage Post Card showing the College Campus at University of Pennsylvania, Phila., Pa. Card has a DB-USD-PM 1910 and in Excellent condition. Buyer will pay 1.95 S H for U.S. Delivery 1st Class Mail. Insurance will be the responibility of the Buyer. I've been selling vintage Post Cards for 20 years without a dissatisfied customer.